Two day workshop, titled “Cartographies of Power” in the São Paulo Biennial, in collaboration with Erick Beltrán and with the invitation of Charles Esche. Below are the documentation videos from the worksop and short introductions for each section. The distribution of power and knowledge is one of the crucial questions of our contemporary moment, yet many of the interconnections and dependencies within the elite are opaque or invisible to most citizens. 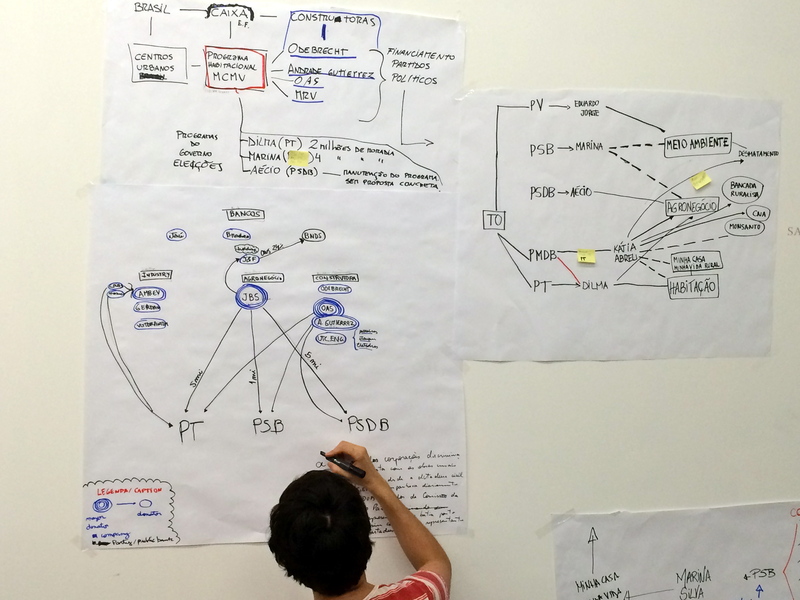 Making pictures and diagrams of power structures and access to knowledge might allow us all a clearer view of how decisions are made and whose interests are being promoted when power is exercised inside and outside government. Two artists, Burak Arikan and Erick Beltrán and collaborator Zeyno Ustun have been interested in the representation of power, governance and history for some years. They have each produced their own different cartographies to map the links between elites and the way power flows through the control of access to information. 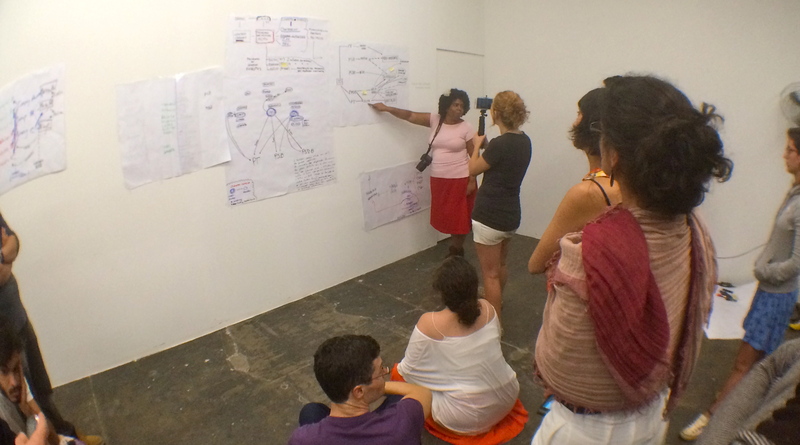 This 2 day workshop will start by introducing each artists’ projects and then proceed by working together with the group to determine suitable subjects for mapping power, governance and history in Brazil. 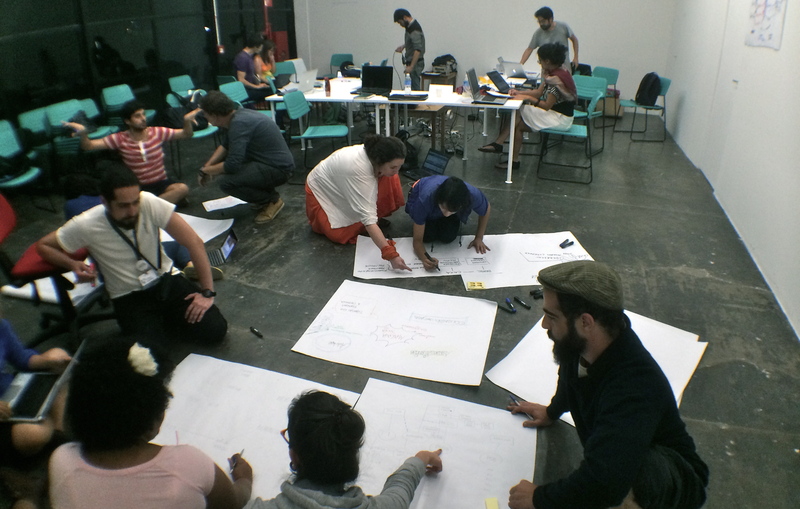 The intention is that at the end of the workshop participants will have an understanding of the tools needed to map their own interests or to work collectively on a Brazilian cartography. 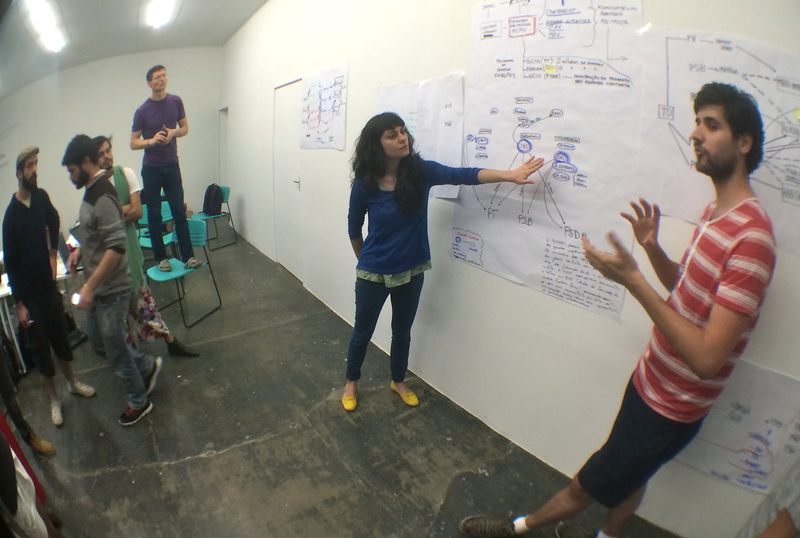 Below are instances from the workshop, followed by the videos. 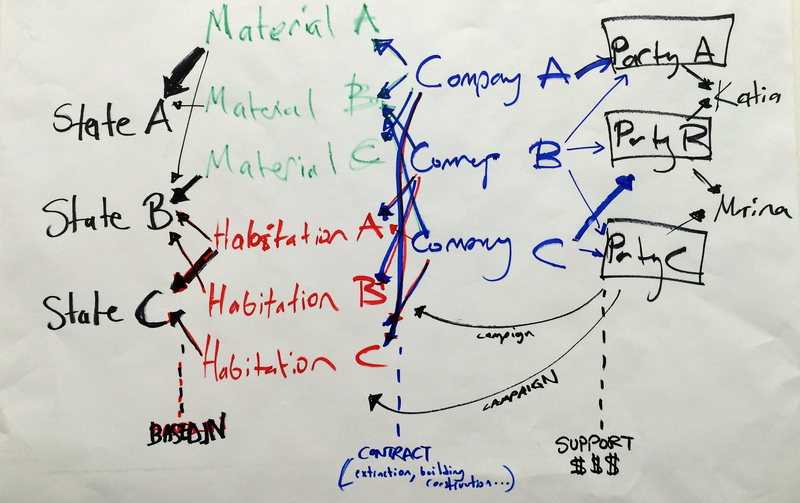 Cycle graph model from the Amazon land & material, to the extractor company, their support of the political campaign candidates, and their promises for votes in the Amazon. Charles Esche welcomes participants and introduces the artists Burak Arıkan (founder of Graph Commons), Eric Beltrán and Arıkan’s collaborator Zeyno Ustun (Admin Researcher of the Graph Commons) as well as the theme and the aim of the Cartographies of Power workshop. Trans. by Felipe Ribeiro de Paiva (producer at São Paulo Biennial). 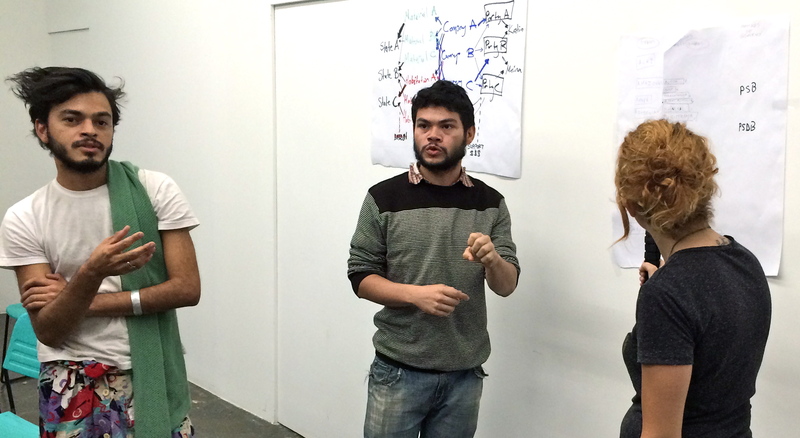 Eric Beltran presents his work and his methods of creating diagrams. The talk is in Portuguese. Burak Arıkan’s presentation “Creative and critical use of complex networks” with methods and examples from past workshops and the Graph Commons platform. Eric Beltran continues to present his work as well as other exemplary works for critical cartographies. Burak Arıkan elaborates the use complex network systems through his artwork and discusses its use in various media by various subjectivities. With Zeyno Üstün they talk about the Networks of Dispossession project, a collective data compiling and mapping project, carried out by Burak Arıkan, Zeyno Üstün, Yaşar Adanalı, Esra Gürakar, Özlem Zingil and anonymous contributors, and dedicated to pursue the relations between capital and power in Turkey. 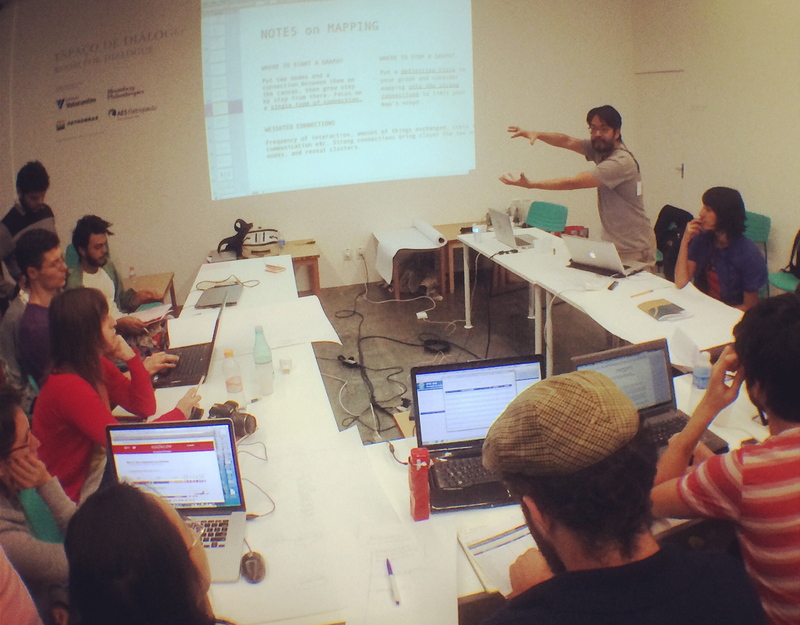 Finally, Arıkan introduces a new collective mapping initiative Mapping Internet Governance. Burak Arıkan and Zeyno Üstün present their compilation of notes on mapping relational diagrams. You may find the text of the presentation here: How to map Networks. 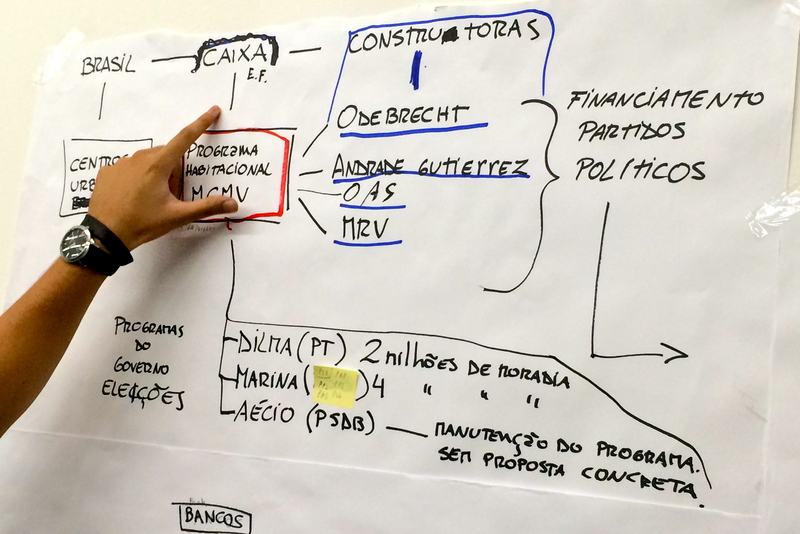 Mapa de rede colaborativa; participants from various groups already invested in critical cartography initiated a mapping project, creating a knowledge base and relationally reading the relations between capital and political parties / candidates in the upcoming elections in Brazil. 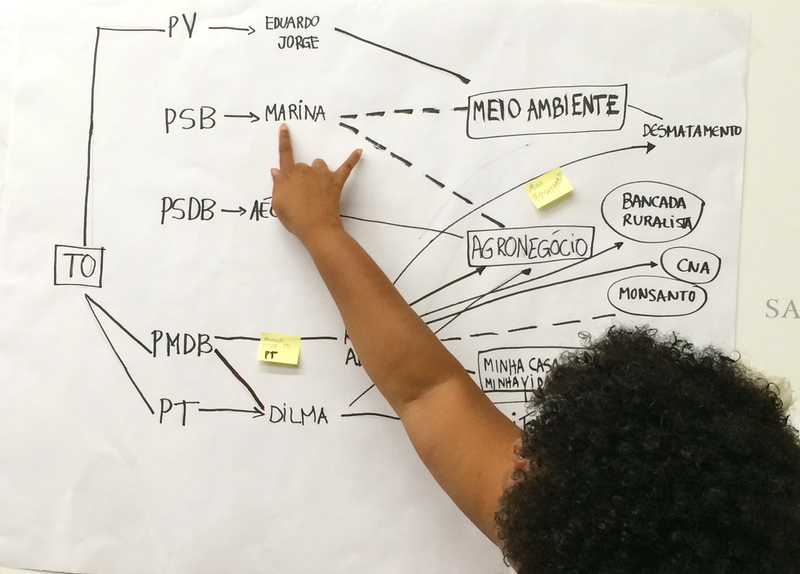 The network model created in this workshop constitutes a path from the materials in Amazon forest, to extractor companies, to their donations and financial support to Brazilian political parties, to their party leaders, and their election campaign promises regarding ecological issues vs farming industry in the north of Brazil. The video is mostly in Portuguese, partly in English. 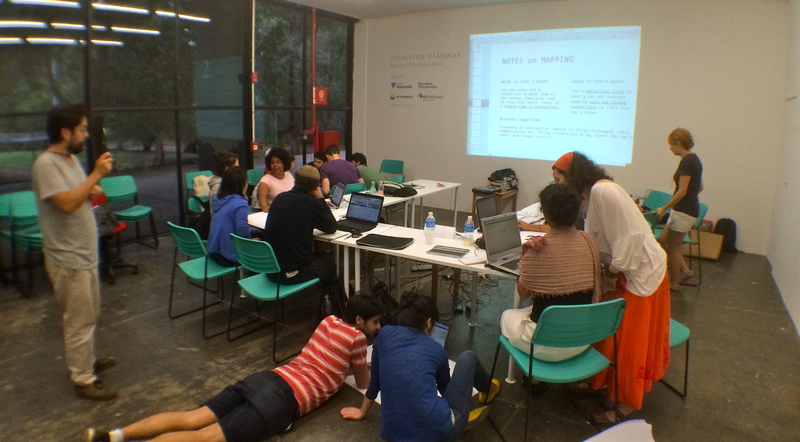 The mapping project is currently in progress with the participants on the Graph Commons platform.